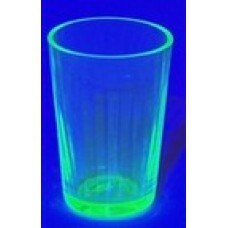 Our bunker personnel would like to remind potential customers that Uranium glass items are only available for sale to UK buyers due to their fragile nature and wide differences in international legislation concerning the shipping and ownership of these products. 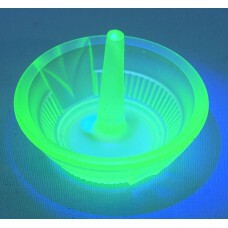 GMC cpm reading shown on items is a very (very) approximate indication of the various object's relative activity, measured over a 2-minute period, using a GMC-300/320+ Geiger counter, in contact with the surface of the item. The background count at the location where the readings are taken is typically between 9 and 15 cpm. 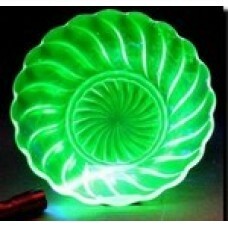 Decorative Uranium Glass Bowl - New Low Price! 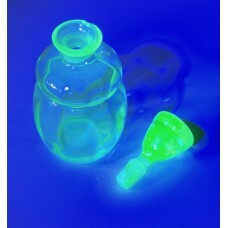 This is a rare find for anythingradioactive. 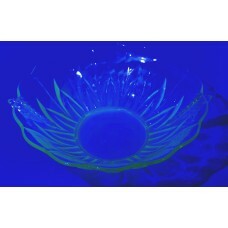 This stunning bowl has fluted edges together with.. 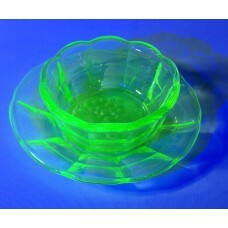 Unusual Uranium Glass Dish - Price Drop! 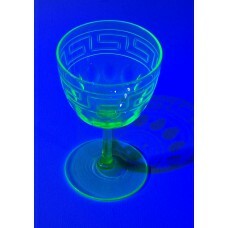 This very pretty dish has a milky-looking finish but still glows when lit with one of our small UV t..
We have another new arrival here in the bunker - this time it's a stunning Art Deco Style wineglass,..
Another new arrival for you to take a look at - this time it is a dressing table pot (with lid) and ..
We have found a very smart dressing table tray which has a look of Art Deco about it. 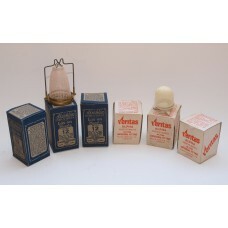 The pattern is..
New arrival - a very pretty glass bottle with what looks like the original stopper. It is quite plai.. 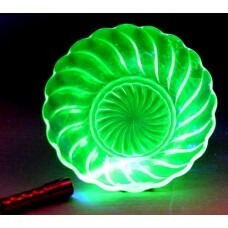 This rather unusual glass Uranium bowl is a bit rough-and-ready but has a rather nice flame pattern ..
Another fine glass bowl from Bagley's classic 1930's Carnival Collection, this time measuri..
We have just 1 of example of this large, Art Deco style, Dressing Table pots complete with original .. 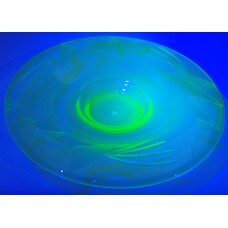 This large bowl has a simple design, with a rounded edge and plain base. We will throw in one o.. 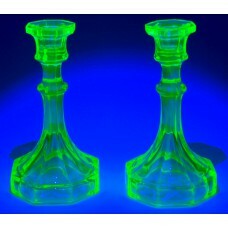 In our on-going quest to find Uranium glass items, we found this stunning pair of candle.. 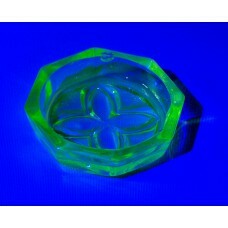 This very pretty Ring Stand is in good condition with the tiniest manufacturing blemish on one sid..
Small Bagley Bowl - NEW LOW PRICE! 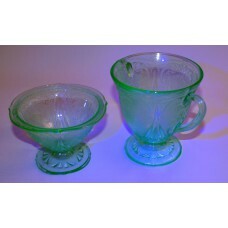 From the Bagley Crystal Glass Company of Knottingly, these genuine 1930's Art Deco style flut..
Last, but not least amongst our recent finds is this small, nicely patterned dish that would be an i..
JUST 1 LEFT IN STOCK!This is extremely delicate - we would say that this is more for display th.. 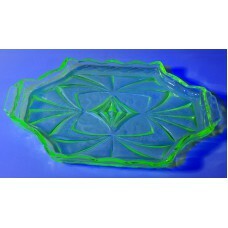 This very attractive Uranium glass dish is our latest arrival and just screams "Art Deco" in appeara..
We have found another stunner for you! 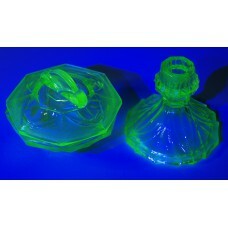 It is a very pretty Dessert Set, comprising of a bowl and pla..
We have a set of 2 Uranium glass containers: one small desert dish in very good condition with a ver..
NEW - VERY LIMITED STOCK - UK SALES ONLYWe have acquired a very small quantity of NOS (new old stoc..